The Pressure is Working -- the bill did not come to a vote today! But the anti-gay movement is fighting to bring it back in an emergency session on Friday. Our signatures are being delivered directly to Uganda's Parliament and media across the world are reporting on our campaign. Let's ramp up the pressure - if we can stop a vote on the bill this week -- we'll win this! In other words, signatures are still much needed, and if you haven't signed the petition yet, please do so now by going here. 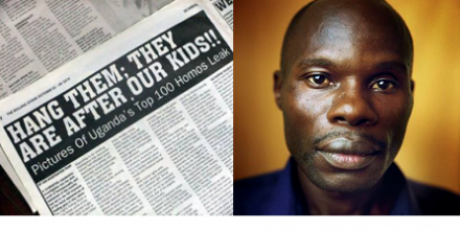 And to give this campaign a human face, here is a picture of gay rights activist David Kato, murdered in his own home a few months ago.